Photo of the day – Abandoned. 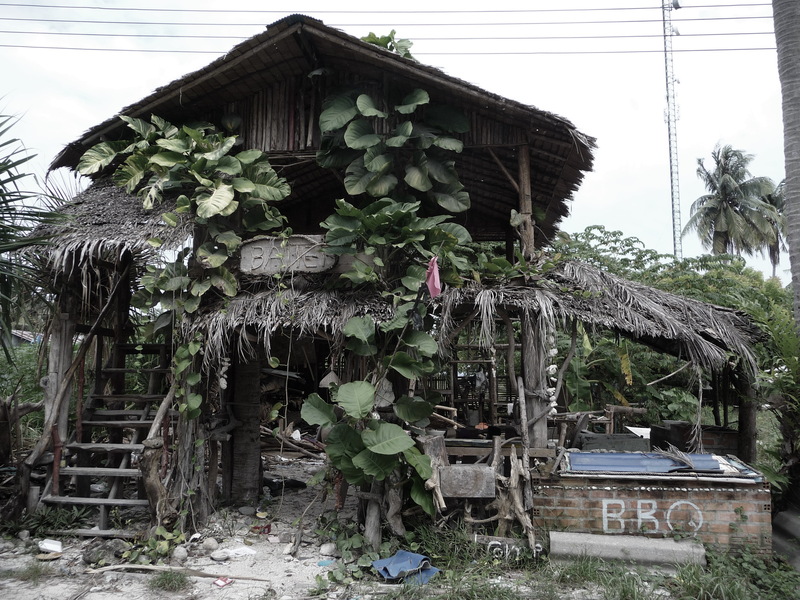 An abandoned restaurant is taken over by creeping plants on Koh Lipe, Thailand. Low season results in many establishments closing doors for a few months but I get the feeling this place has been out of action for a while. We stumbled across this place while walking from one side of the island to the other (a mere 15 minute walk). I’ve always found something interesting about derelict properties. Like they have a story that they are holding on to. Posted on September 8, 2013 October 11, 2014 by cornishkyliePosted in Photography, Thailand, TravelTagged abandoned, building, derelict, koh lipe, photo of the day, photography, Thailand, travel, travelling.